The 2019 offseason has recently slowed down a lot for the Twins, as it looks like they may be done adding free agents. 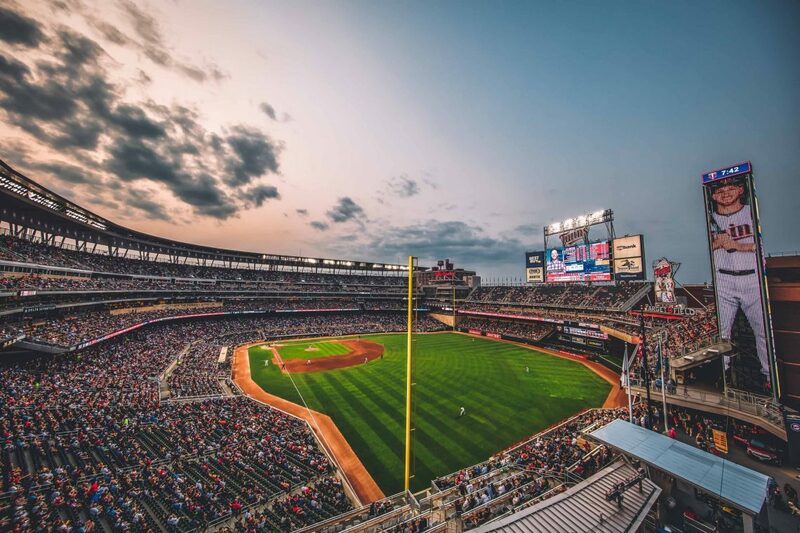 Many Twins fans are disappointed, but could the pieces we have set in place be enough to get to the playoffs? I have a few predictions I believe could come true. Also, on my Twitter I recently had a post saying anyone can comment a bold prediction and I’ll analyze it soon in a different article so go do that. Prediction 1: The Twins have a top 10 bullpen. Throughout the whole offseason most of the talk has been about needing to add to the bullpen. I believe with May, Rogers, Reed and Hildenberger remaining from last years team, as well as the addition of Blake Parker I think the twins have five solid options. The final two could involve either Mejia or Romero, both would be extremely solid options. After the all star break last season, the twins ranked 20th in the majors for overall bullpen and that was without Addison Reed and Trevor May (for the most part), had Hildenbergers worst season yet, and Blake Parker wasn’t on the team. Taylor Rogers got to showcase how good he really was. In the second half, Rogers threw about 30 innings with a 0.94 ERA, a 0.663 WHIP and a K/9 of 11.0 easily the best on the team. Those are elite numbers and with the other relievers surrounding him, the twins could have a dangerous bullpen. Prediction 2: Five Twins players will set a career high in home runs. Byron Buxton’s career high is 16, Max Kepler’s career high is 20, Eddie Rosario’s career high is 27, Miguel Sano’s career high is 28 and Jorge Polanco’s career high is 13. I believe these five players can definitely break those records, and I mean really anyone in the lineup could do it, I just believe it will be these five. For Buxton, he has put on around 20 pounds of muscle this offseason so 16 homers should be easy and I can see over 20 for him. Max Kepler hit 20 last year while batting .224 and I believe this is the year the average goes up. Better average means more hits and more hits means more homers. For Rosario I’m basing it off of a Jose Berrios interview where he said Rosario wants to hit 35 this year. Berrios is a smart guy so let’s roll with that. Miguel Sano is built like a train and will be learning from Nelson Cruz so there’s gonna be something there. Finally, for Polanco his high is 13 and Polanco is so good he will get at least 15+ this season. Of course all of this happening would make the Twins a pretty good team, so that leads into my next prediction. Prediction 3: The Twins win the AL Central. I wrote more extensively on this in this link so click here soon. Crazy? Maybe a little bit but the Twins have added four offensive upgrades in Cruz, Schoop, Cron and Marwin Gonzalez. Along with that they have a strong rotation of Berrios, Gibson, Odorizzi and Pineda along with my praised bullpen up above. The Tigers and Royals are horrible and don’t stand a chance this season so that eliminates two teams, the White Sox are close but still not quite there (unless Machado or Harper signs there) so Chicago will probably finish with a record similar to last years Twins. Finally, the heavy favorite for most in the central are the Indians. For me, this offseason I’ve seen internal problems that could translate to the field with Kluber & Bauer constantly on trade rumors, a bullpen that had major struggles last season plus they lost Andrew Miller and Cody Allen, and a lineup that had two finishers in the top four of MVP voting but still only won 91 games. There is really no outfield to look forward to and they lost Brantley and Encarnacion while adding only Carlos Santana. Their lineup can’t be carried away by Lindor and Ramirez yet again. Of course, all of these could blow up in my face and I’ll hope everyone who reads this forgets about it but I wouldn’t post this if I didn’t think they were all possible. The bullpen will be fun to watch, many position players will have career years and it will all lead to a division win and some playoff games at target field (finally). Thank you for reading my first bold predictions post. I would love to do some fan predictions, so go visit my Twitter. (@EverydayTwins) If you enjoyed please leave a like and share with your friends. If you disagree or have any questions please leave a comment or ask me on Twitter. Also, The Twins will win the AL central. I like your AL Central pick! This team is hot on the heels of a slowly dying Indians team. This offseason was particularly rough for the tribe. My boldest prediction is this: Buxton posts a career high Average at .250. If this happens watch out. I like that’s lot, especially if he can reduce his strikeouts. He actually ranked 29th in average in 218 when he put the ball in play (.339). It’s going to be fun to watch.